What do most people think about when then think about hash? A can. A can of corned beef hash. But hash is so much more than that. It comes in different styles and names from all over the world. Pitt y pana in Sweden, biksemad in Denmark, Gröstel in Austria, picadillo in Mexico, stovies in Scotland and hachis in France, to name a few. So, get ready to re-acquaint yourself with an amazingly diverse and versatile dish and Think Outside the Can! One of my absolute favorite hashes is smoked salmon hash with potatoes, onion, crème fraîche and fresh dill. But don’t stop there! There are many more from which to choose: Pork Belly Hash, Short Rib Hash, Sweet Potato Hash, Red Flannel Hash, Duck Confit Hash, Crab Hash – the list goes on and on. And if you are a vegetarian or vegan, hash is still your friend. Just skip the meat and chop up your favorite veggies…voilà! Think Outside the Can! Did I tell you it’s not just for breakfast? It’s not. 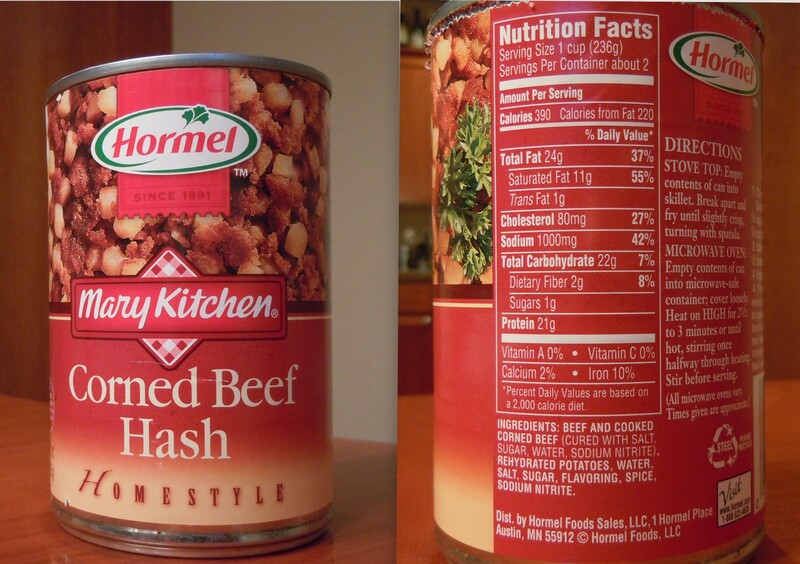 Breakfast, lunch or dinner, people around the world are positively stark raving mad about hash. Did you realize that hash is on almost every restaurant’s menu? What anchors that perfectly cook halibut? Sweet potato and apple hash. What gives that Bourbon Steak some rustic culinary cred? A Yukon Gold potato and caramelized onion hash. See what I mean? Hash is practically everywhere! Think Outside the Can! I know what you’re thinking, “This guy is insane, but somehow, I’m beginning to understand.” Thank you and please don’t worry, resistance is futile and you will assimilated! The hash collective is glad you’re here, but I digress. Hash is not just leftover meat, potatoes and some salt and pepper. Nooooo! It’s exotic. Dream of Chicken Curry & Potatoes with Mustard Seed Hash with a garam masala cream sauce. Obsess over Oaxaca, Mexico and a Chicken Mole & Chayote Hash. Think of Northern Africa and a spicy Harissa Lamb, Cucumber, Carrot & Chickpea Hash. Think Outside the Can! I’ve even considered proper wine pairings. For an Asparagus & Pancetta Hash – drink a Grüner Veltliner. What about a Duck Confit Hash you ask? Pinot Noir of course! But please don’t limit yourself. A nice Porter-style beer is sublime with a Tenderloin Cognac Mushroom Hash. Think Outside the Can! In the ultimate ironic twist, hash has new and exciting life as a leftover. What about making croquettes out of your Beef Short Rib Hash? Or, making a hash pot pie with that Beef Tenderloin & Cognac Mushroom Hash. The possibilities are endless. Think Outside the Can! “This is most enlightening. How do I amp up my hash IQ?” you ask. I’m glad you asked. The fact that you’re reading this post is proof positive that you’ve expanded your culinary horizons already! So, today, right now is the moment for hash to take its rightful place in your cooking repertoire without shame and most certainly with gusto and panache. Sign up for my newsletter, browse my blog or download my forthcoming sample e-book when it’s available. But most of all, Think Outside the Can! So happy Lars and David introduced us to the wonderful world of hash. We now think outside the can. Thanks, can’t wait for your way, way, way outside the can South African hashcapade!